I have written about my hauntings many times. The hauntings cover a wide variety of issues. Whether personal, professional, or political, I will question things until I can better understand why things occur the way they do. This essay is about my hauntings regarding Ginger. 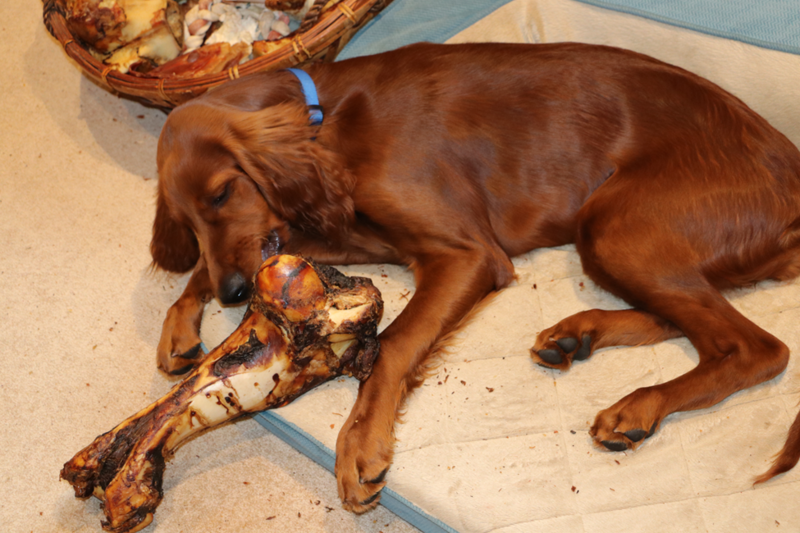 Granted, Ginger is a six-month old Irish Setter puppy that I dearly love. We play together and go for long walks around the lake. I love that interchange between us. If Ginger’s wishes were realized, we would play 24/7. However, I still teach a couple classes each semester and write essays for my webpage. In addition, I want to return to Burma/Myanmar to interview Aung San Suu Kyi. While in Burma, I will visit with Moh Moh and her family, and especially Ti Ti. I have told Ginger my situation regarding not being able to play all the time. Nevertheless, she is still a six-month-old puppy and wants my full attention. She wants something to do all the time with me, even when I am in front of the computer. Therein lies a problem. How do I balance both my drives: loving Ginger and doing things necessary unrelated to my puppy? After picking up Ginger in central Pennsylvania, I needed to address the issue of getting things for her like food, toys, collar and leash, bed, divans, crate, carrier, etc. It was like coming back from the hospital with a newborn infant. After providing the necessary basics, it wasn’t long before I was on another quest to pick up some extras for her. One day, I noticed deer ears at a pet store. When I presented Ginger with her first deer ear, she enjoyed the moment. However, months later, she could chew on them and ingest them in less than an hour. Out I went again, this time I found pig ears, bones, and elk and deer antlers. It takes Ginger several hours of undivided attention to reduce a pig ear to a small scrap of what was once a four by eight-inch piece of cartilage. Additionally, to remove the remaining tendons and muscles on the bone will last for months. Therefore, the daily routine starts at 6:15am. I take Ginger out to relieve herself. Then we play for 15-minutes before having breakfast together. That is followed by a walk, which could be around the lake if the weather permits. Next, we go to my office and give her a pig ear or a new bone. That usually allows me several hours in which I can deal with my classes and articles. Dogs are the only carnivore domesticated by early humans, which dates back 10,000 to perhaps 30,000 years ago. 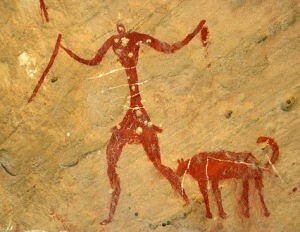 Ginger’s predecessors lived with humans in caves while they were still hunter-gathers. Caves have many pictographs drawn by the early humans. In the above chart, dogs were the only animal domesticated for several thousand years. 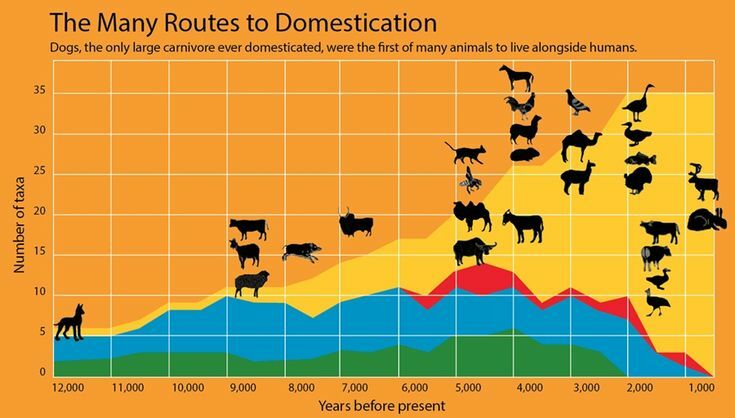 It wasn’t until humans moved from hunter-gathers to living in one place and began to raise crops that they began to domesticate other animals like cows and sheep. This is a cave painting of early humans. Ginger’s predecessors hunted with early humans, ate other animals, and the scraps provided by their masters. Every few minutes, I glance at Ginger chewing away at some body part of an animal. However, in the peace and quietness of those moments, I am haunted by watching her as she gnaws away. While she chews on a bone or ear, she is focused. It is a basic instinctual habit bred into Canis lupus familiaris, which is Latin for dog. 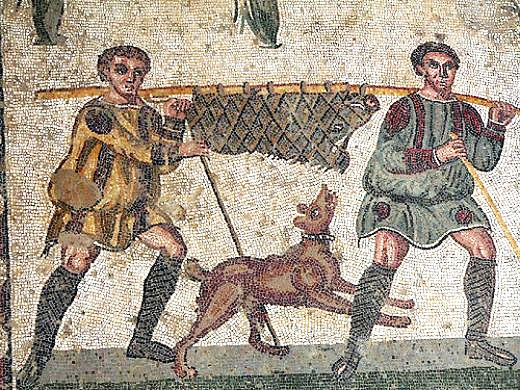 In this Roman mosaic, you can see the instinctual desire of one of Ginger’s predecessors to chew on this wild pig’s ear. This graph below shows the evolution of various animals, over millions of years, to what we call a dog. 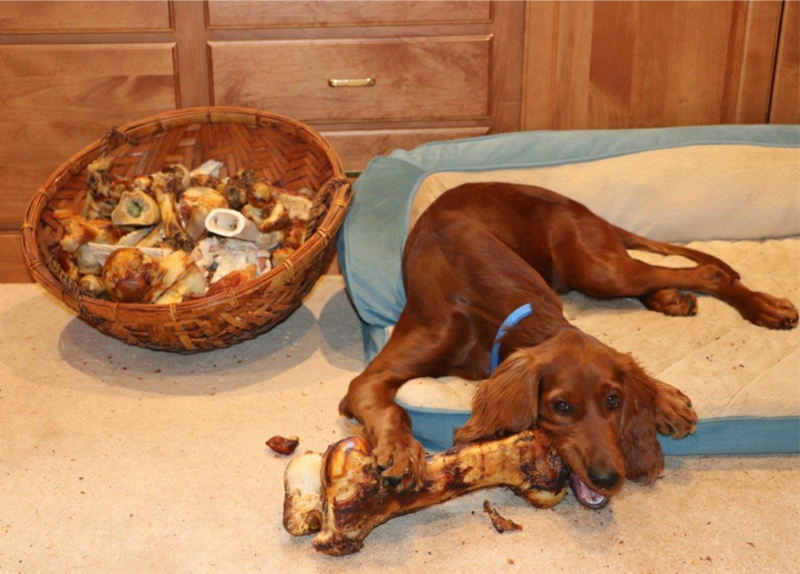 A half century ago, when I got my first Irish Setter, I knew that dogs emerged from grey wolves, Canis lupus, which had been around for about a half-million years. 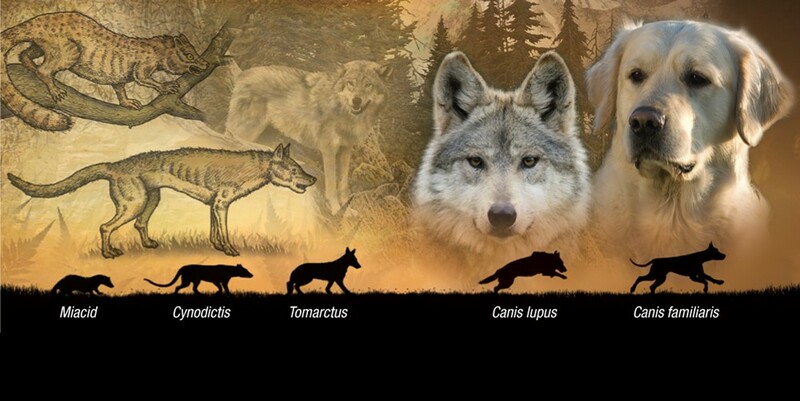 What I didn’t know was that modern canine research, thanks to DNA, has caused scientists to believe that there were two separate emergences of the dogs from wolves. Originally, it was believed that dogs emerged from the Eurasian wolf. 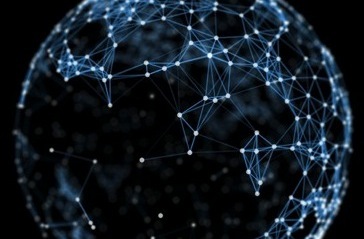 However, the current concept is called the dual-origin theory. This theory believes that the dog emerged first in Europe and then later in Asia. Experts believe, around 6-14,000 years ago, that the European dog was the earliest domesticated dog. It wasn’t until later that the Asian variety appeared. Sometime during the Bronze Age, the Asian variety migrated to the West. Interestingly, over time the Asian dogs dominated the European ones. It wasn’t long before the European variety became extinct. It is also fascinating that scientists have determined that the dog can understand the expressions of the human face. Therefore, they have a means to understand what their master means by reading facial expressions. Today, there are seven billion people in the world and one billion dogs. One of those dogs is Ginger, my domesticated carnivore.